Maybe it’s the season. (Polls! Polls! Polls!) But even in off-cycle political years, pre-award discussion often revolves around the supposed front-runner. There are some exceptions. In 2006, Orhan Pamuk shared the number-one with Adonis, and won. In 2009, when Herta Müller won, the odds had her tied for the top slot with Amos Oz. And if, for instance, the betting shops gave the top-ranked writer a one in five chance of winning, and, over the years, the top-ranked writer won 20 percent of the time—then these odds aren’t all that bad. Most people, though, aren’t interested in this type of nuance—focusing instead on the top-ranking candidates. And in most cases in recent years, the front-runner has not taken home the prize. In addition to the 2011 and 2008 contests, this has been the pattern in 2007, 2005, and 2003. Adonis, especially, seems the always-a-bridesmaid candidate—he’s had top billing five times since 2003 but never bagged the 8 million kronor. Then there’s the influence of the market: the more people that place bets on a particular writer, the shorter the odds. The shorter the odds, the more favored the writer. But while such scenarios tend to be fairly accurate when it comes to political elections (Intrade is, more often than not, a fairly accurate predictor of electoral outcomes), there’s a limit to how far the literary wisdom-of-the crowds extends. For one thing, the number of participants is pretty small—making the odds highly susceptible to shifting whims. 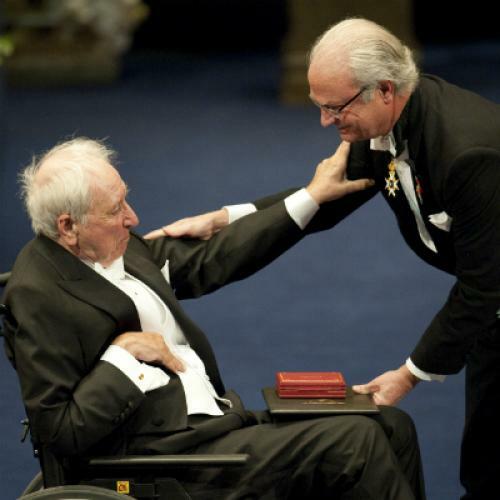 The numbers of people who place bets on the Nobel is in the thousands, with the typical bet ten or twenty pounds. (Ladbrokes takes in an amount in the tens of thousands of pounds from the Nobel contest; a Saturday afternoon Premiership League soccer match, by contrast, might bring in half a million pounds, says spokesman Alex Donohue.) This means that a few bets of large amounts or a sudden flurry can push one candidate ahead. That’s why, it seems, Bob Dylan’s enjoyed a rapid ascent in recent days. Customers can also get people onto the list by calling in bets—presumably this is how E.L. James arrived. So, even if you kept tabs on the shifting odds and Googled every foreign name that cropped up in recent days, you still probably did not have a very good sense of the field. Inside the Academy is probably the only place you’re likely to find that intel. Too bad Adonis didn’t have an advocate in those halls. Chloë Schama is Executive Editor of The Book. Sam Carter contributed reporting.